As rates of autism diagnoses soar around the world, the tale of two Australian families struggling to pay for expensive early-intervention therapies for their children — one by themselves, the other through government — ­underscores the divisive cost. 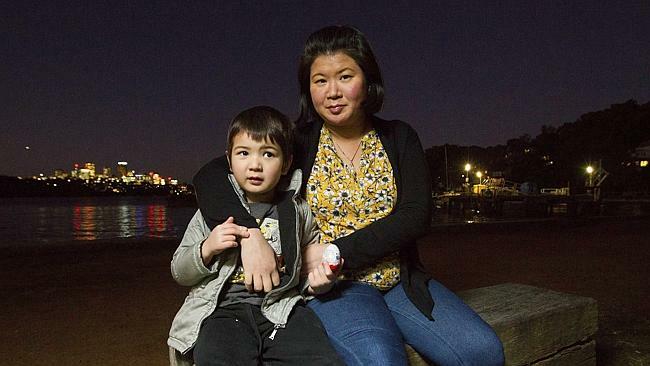 In Sydney, Tina Lopez and her husband, Arron Dickens, are dipping into their savings to pay about $42,000 a year out of their pockets for their son James because a federal program stumps up only $12,000 over two years. In South Australia, where The Australian revealed children with autism now made up 46 per cent of the delayed, oversubscribed National Disability Insurance Scheme trial, the Andrews family had to fight to get a $40,000 package from the scheme for son David, 4. The agency responsible for the $22 billion NDIS is reeling as it comes to grips with the rising numbers of eligible children, ­engaging in an off-the-books ­“rationing” of packages lest it risk the scheme’s financial sustain­ability further down the track. At the heart of the issue is the fact the former federal government was misled over the numbers in South Australia but the NDIS agency is also struggling to apply a uniform interpretation of what are “reasonable and necessary” supports for children with autism spectrum disorders. “Our initial planner, she actually said to us the funding was capped,” said Eliza Andrews of the 18-month process to get a full-­service early-intervention plan. Despite worldwide best practice indicating children need about 20 hours of intensive behavioural therapy a week to produce solid early-intervention outcomes, the scheme’s planner initially ­offered only an hour of speech therapy, an hour of occupational therapy and an hour of applied behaviour analysis therapy (ABA). Ms Andrews negotiated that the couple, a registered nurse and a fitter and turner, would pay for the first two therapies from their private health insurance if the NDIS funded the ABA therapy. They were later granted 11 hours a week for a year. After fighting the determination, the family was awarded $40,000, covering 80 per cent of their ­annual costs. “Without the NDIS, we would have to have sold our house to pay for the therapies,” Ms Andrews said. Technically there is no cap on services but an updated price guide for the scheme, effective from next month, offers a “benchmark” and says “early intervention ... provision of a mix of therapies, and a key worker for the family, are expected to fall into one of the three categories” between $6000 and $16,000. In a study published in the Medical Journal of Australia this year, Professor Dissanayake and colleagues examined data from a federal government support program and found three times as many children aged under five were enrolled in the Helping Children with Autism Package than anticipated. Last week, a study in the American Journal of Medical Genetics showed the rate of ­autism had tripled in the US in recent years. Penn State University researchers concluded “much of the increase may be attributable merely to a reclassification of individuals with related neurological disorders rather than to an actual increase in the rate of new cases of autism”. Professor Dissanayake suggested other factors were at play, including increased awareness of autism spectrum disorders.